Chula Vista schools compete to teach students STEM by creating trebuchets to catapult pumpkins. 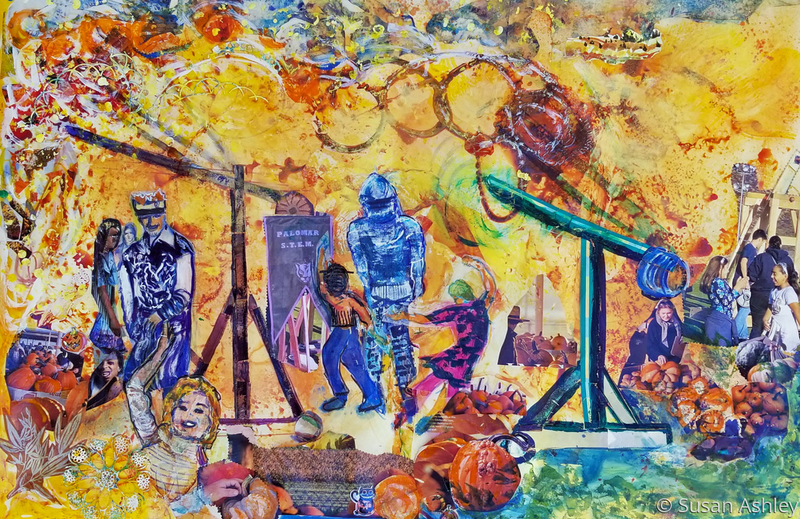 This Game of Throws is a Mixed Media artwork. It is a mix of watercolor and acrylic paint with collage and digital art. 5" x 7.75"6" x 9.25"7" x 10.75"8" x 12.25"8.25" x 12.75"